ON THEIR WAY: Linfield are cruising to the Gibson Cup after Saturday's results Photo credit should read Niall Carson/PA Wire. LINFIELD took a significant step towards regaining the Gibson Cup on Saturday afternoon as they defeated Institute 2-0 at Windsor Park while nearest rivals Ballymena United went down by the same scoreline at home to Glentoran. 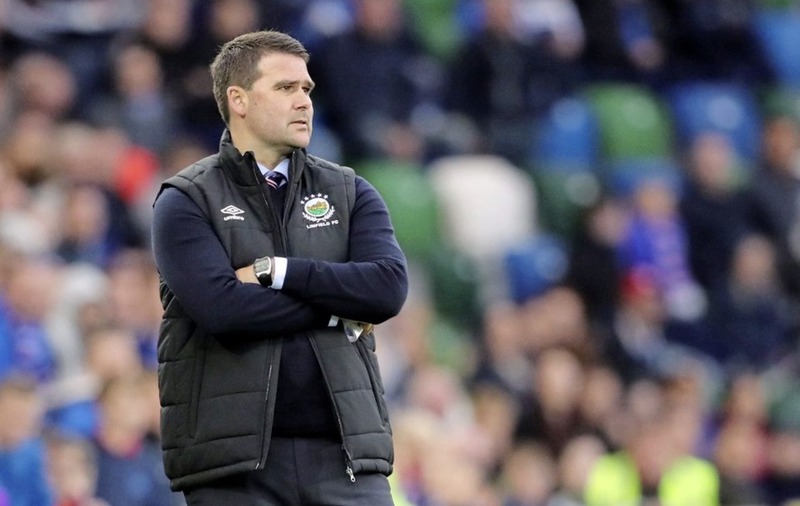 It leaves David Healy's side in pole position to claim a second league title in three years as they are now nine points clear with just six games remaining. Ballymena do have a game in hand but they are now facing a real uphill battle. Linfield struggled to break down a solid ‘Stute defence in the opening half but they took the lead in spectacular fashion in the 62nd minute as Jordan Stewart blasted high past Martin Gallagher from the edge of the box. The second arrived five minutes later when Josh Robinson headed home a Niall Quinn header. Ballymena's slip made it a day of double delight for the Windsor Park men with David Jeffrey's side really off colour at the Showgrounds. 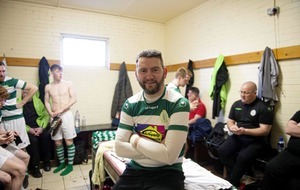 They went behind after just three minutes as Paul O'Neill cleverly directed Curtis Allen's cross past Ross Glendinning and it was the away side who pushed for a second before the break with Chris Gallagher and Robbie McDaid going closest to doubling their advantage. The second goal did come on the hour mark as Robbie McDaid coolly finished to the net after a sweeping team move. United were handed a possible route back into the game when James McCarthy was sent off for the Glens, but they never really threatened a comeback. 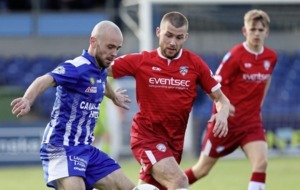 There was also a significant result at the other end of the table as Warrenpoint took a huge step towards safety following a 1-0 win over fellow strugglers Ards at Clandeboye Park. Stephen McDonnell's side are now 13 points clear of the relegation play-off spot and also have a game in hand on the teams below them, Ards and Newry City. The visitors had a great chance to move ahead in the 25th minute but Simon Kelly's penalty was well saved by Sam Johnston. The ‘Point did lead at the break though as Seanan Foster showed plenty of composure to round Johnston and pick his spot. Ards looked more dangerous after the break but they found visiting goalkeeper Jared Thompson in good form. Crusaders claimed the bragging rights in the north Belfast derby as they recorded a 2-0 win over Cliftonville at Seaview. The hosts took the lead in the fifth minute when Jordan Owens brilliantly headed home Jordan Forsythe's free-kick and they pushed hard for a second with Rochard Bursh being called into action on a number of occasions. They did bring a two-goal advantage in at the break though with Kyle Owens striking just before the half-time whistle in similar circumstances. Forsythe delivered another beautiful free-kick into the box and Kyle Owens prodded the ball past Brush. Cliftonville came close to halving the deficit with Joe Gormley's stunning long-range free whistling just over the bar but they were unable to get back into the game, even after Rory Hale was dismissed for the hosts. In Saturday's other game, Josh Daniels scored the only goal of the game as Glenavon recorded a 1-0 win over Dungannon Swifts at Mourneview Park.